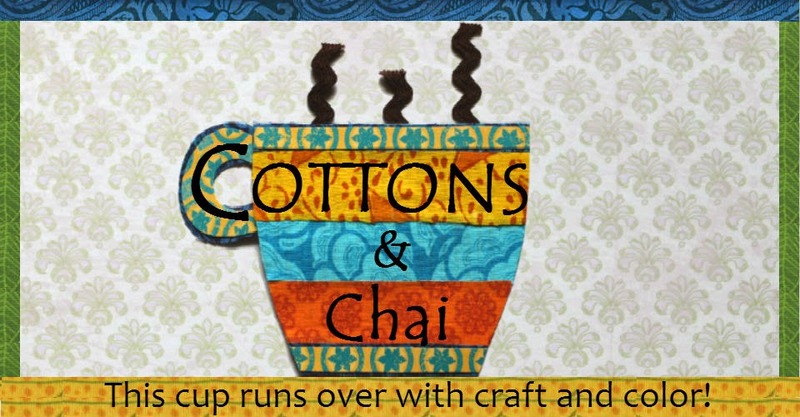 When I took up quilting a couple of years ago, I joined a quilt guild- a local group of quilters who meet every month to share and learn more about their craft. Every two years, our guild organizes a quilt show- it is an ambitious undertaking for a small guild of just over a hundred members. We rent a large event space for the weekend. 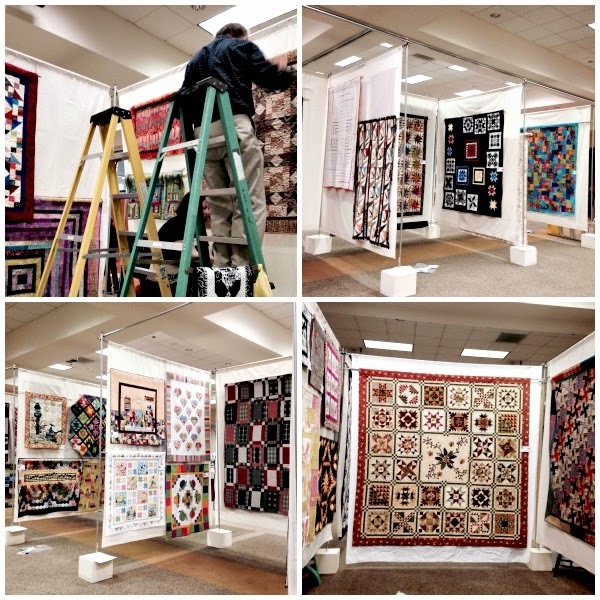 Quilt show weekend takes a year of preparation and hundreds of volunteer hours. The central theme of the show is to showcase the quilts that we make- and a few months in advance, categories for the quilts are announced (bed sized quilts, art quilts, modern quilts, etc. and a novice quilts category for beginner quilters) and everyone is hard at work finishing their quilts for the show. A few weeks before the show, the quilts are received from the members, each ensconced in a pillowcase for safe-keeping. Each quilt is measured, photographed and documented. A nationally recognized, certified quilt judge comes to town and spends a weekend examining the quilts and awarding ribbons in each category for first, second and third place, as well as honorable mentions and special overall awards including ones for best quilting, best applique and the most coveted grand prize of them all- best in show. Having a third-party judge to come look at the quilts is a golden opportunity to get comments on one's work and see potential areas for improvement. Quilting is a lifelong journey of learning and we can all strive to do better next time. One of the members volunteers to hand-make beautiful ribbons to put on the quilts, and pins to give out to the winners for bragging rights. As the show date approaches, there is a frenzy of work behind the scenes. One or two people form the "layout committee" and decide how we will manage to hang the quilts so that all 200 quilts can fit in our space in a way that shows them off perfectly. Meanwhile, there are other volunteers who handle print publicity (making posters, flyers and postcards), Internet publicity, place ads in local newspapers and send out press releases about our event. Then the much-awaited day dawns- set up day. It starts well before the crack of dawn, at 7 AM, with volunteers arriving to a large and empty space. 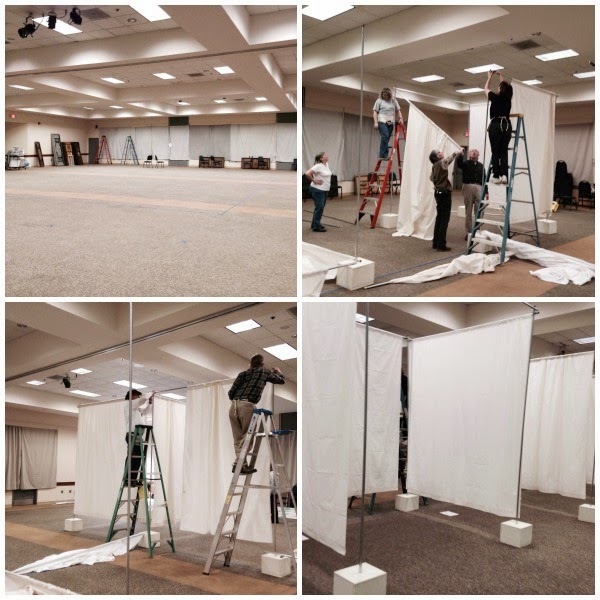 They start by taping off floor space- the central space will be bays where quilts are hung and around the perimeter of the space are booths for the vendors. The materials to create the bays- boxes, poles, sheets, hardware- are stored in the basement of one of the quilters. A few volunteers show up at this place and load up a UHaul truck with all the materials, and unload it in the event space. Then, two or three teams, along with tall metal ladders get started on the work of building the bays. By lunchtime the framework is up. Everyone takes a break and sits down to a family style lunch of sandwiches, chips and fruit. Then the layout sheets are consulted. The quilts are brought in and laid out in different bays. The hanging teams fan out, taking the quilts and hanging them up using S hooks and cords. This takes 4 hours or so. By the end, the quilts are up and the show is on! While the quilts are hung, the vendors start driving in, unloading their wares and setting up shop. At the end of the day, the hanging team makes one last walk through the show, adjusting the quilts just so, removing stray threads and getting things just right. Everyone takes a break and freshens up. At 5 PM, punch is served, and the guild gathers in the auditorium. There is a lovely presentation, showing a bit of the history of the guild, the community involvement of the guild. This is also when the awards are announced, to loud whoops and cheers. The show opens, and the evening is for guild members only, to enjoy the quilts, and to do some shopping. The next morning, Friday, the show opens to the general public. Volunteers sell tickets, greet guests and enjoy hosting the show. Back in the kitchen space, members drop off food for a potluck breakfast, lunch and snacks served all day to the members and vendors. Vendors appreciate having this hospitality and tell us that we serve the best food of any of the shows they attend. In addition to the vendors, the guild sets up a boutique- handmade items made by members are sold here. There's everything from stuffed animals, bags, potholders, scarves and quilts of course. This year, we organized a scavenger hunt for the kids attending the show. Kids got a sheet listing 24 items that were on the quilts (houses, animals, Christmas tree, etc.) and had to walk around the show locating the items. They got to pick a prize for participating in the scavenger hunt. On Sunday afternoon, the show draws to a close. It takes 9 hours to set up the show but less than an hour to tear it down. The quilts get taken down, put back in the pillowcases and returned to their makers. Materials get put back on the truck and transported back to the basement for storage. Everyone is tired but happy. 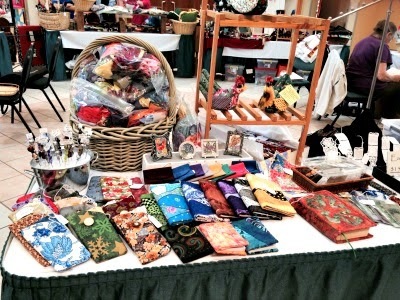 There are quilt shows all over the United States, and Spring and Fall tend to be the seasons for quilt shows. So look around for a show in your town and please- go attend, look at the artistic talent in your community and prepare to be wowed. Wow! Great team work! That sounds like quite an experience, I will have to look out for similar shows here. Is that a picture of your stall? Priti- yes, that's the picture of the stall selling handmade items made by all the members (not just me)- about 20 of us made small things to sell. We are having our guilds show this year and are looking for a better way to hang our quilts.How do you use the s hooks and cords. And where do you purchase your s hooks? Thanks for your help. Debbie- Here's how the frames work: for every "wall", there are two boxes, each holding an upright metal pole. A third pole (threaded through with a large white sheet) goes across the tops of the other two poles. And that makes a wall for hanging the quilts. One end of the S hook slips on the top of the horizontal pole and on the other end, we use cords/wire loops to suspend the quilts, which themselves have a sleeve and are threaded through with curtain rods or the like. As far as I know, we purchase S hooks from home depot or similar hardware stores. What an endeavour Nupur! And such a lovely outcome too. It looks like a poster session at a meeting to me, except that the "posters" are much more beautiful :) Congratulations on winning a prize at the grand event. You're the best, really and I'm so proud of you. Door Decor to Welcome Warm Weather! Crochet Beanies for Teenie Weenies!